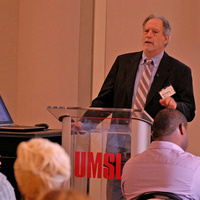 The first Early Career Research Symposium will showcase the research of UMSL early career faculty and provide opportunities for networking and collaboration. The format will be fast with presenters having five minutes to highlight their work and a limited number of slides. Presentation slots are open to the first cohort of Early Career Research Network participants and other pre-tenure research faculty. Please come out and support our junior faculty and learn about some amazing research going on at UMSL! The symposium will be held in UMSL’s new Science Building B103 from 2:00 pm – 4:30 pm with time for refreshments and networking.